"Between Paris Perfect, London Perfect and Italy Perfect I've stayed in 15 apartments over the past 10 years. The Muscadelle is one of my favourites in Paris. It's got a wonderful location, just a..."
"We have stayed in many of your apartments since 2008. This was the first time in a one bedroom. It was surprisingly roomy and as always a fantastic location." "Wow! We loved our little Paris pied-a-terre. It was on the 6th floor with a lift with a lovely kitchen and a beautiful dainty bedroom. 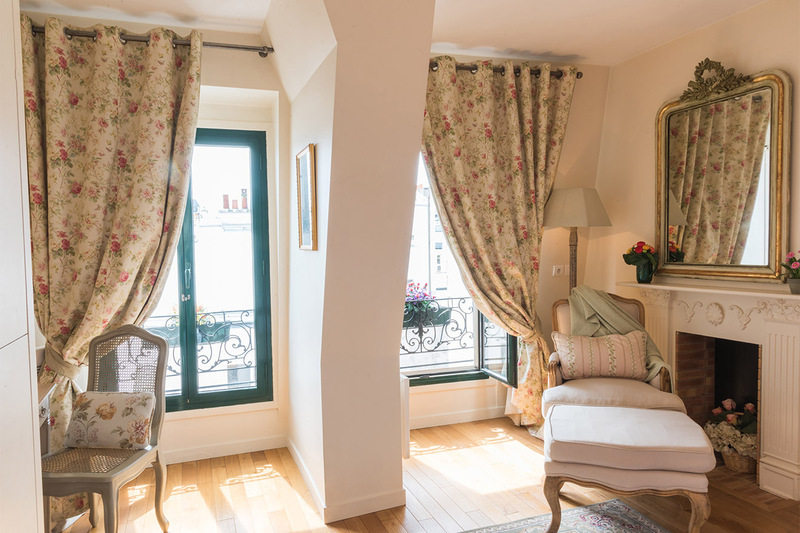 We loved looking out over the Parisian Rooftops with the..."
"We are returning Paris Perfect guests who like the ease of the 7th arrondissement and Muscadelle did not disappoint. Great location - you can literally get your morning baguette and be back with your..."
"We loved how quiet this apartment was yet within walking distance of every possible convenience! This was our third Paris Perfect Apartment. We return because we can depend upon Paris Perfect's..."
The Muscadelle is our charming 1 bedroom, 1 bathroom Paris apartment to rent for your vacation. With stunning Parisian views, a stylish living room and fully-equipped modern kitchen and bathroom, this compact apartment accommodates up to 4 people in air-conditioned comfort. 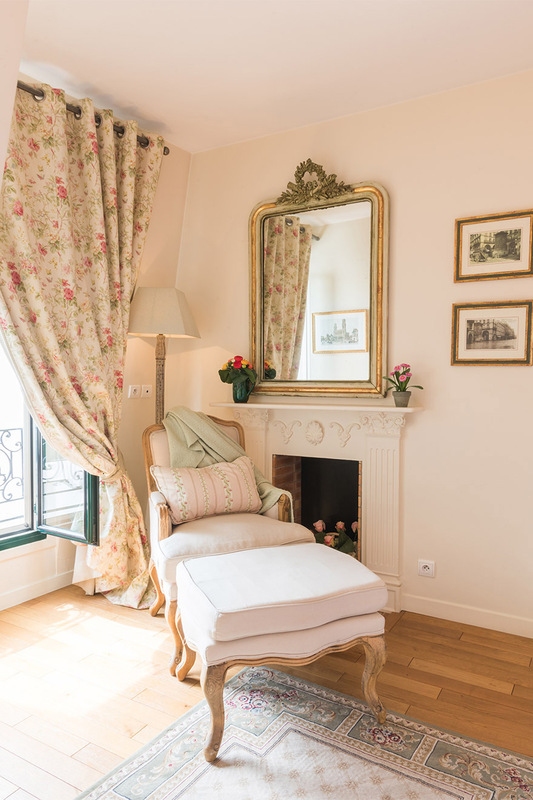 Located in the heart of the Left Bank in the popular 7th arrondissement of Paris, the apartment is surrounded by chic shops, sidewalk cafés and excellent restaurants where Parisians dine. Wake up in the Muscadelle, take in the beautiful views from the windows and know that the true Parisian lifestyle waiting at your doorstep! Apartment security: The neighborhood is among the most sought-after and safest in Paris. The building has a cipher code lock on the outside door, a locked inner door to lobby, and a locked steel door leading into the apartment. There is a self-programmable electronic safe for your valuables. 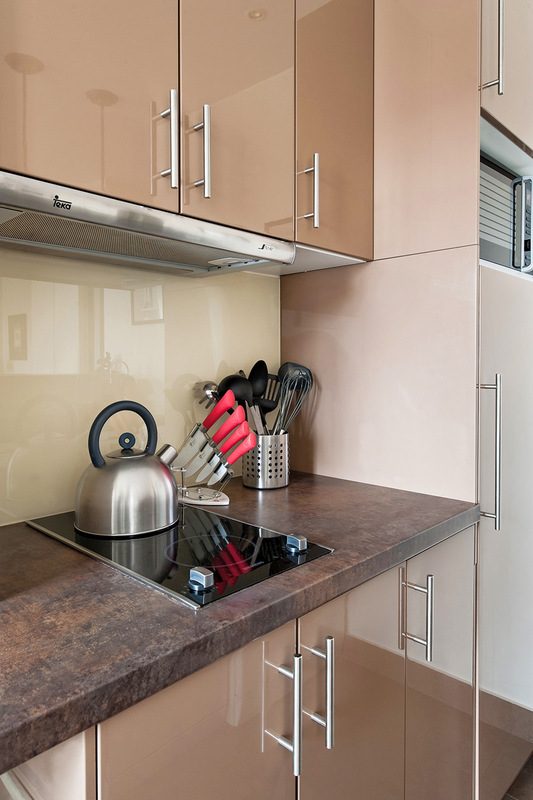 Fully equipped kitchen with pots, pans, glassware, utensils and porcelain dishes. Full-size refrigerator with freezer compartment. TV: CNN, BBC and other English news channels available. We hope you had a wonderful stay in our Muscadelle apartment. Please take a moment and click here to share a review of your experience with us. "Between Paris Perfect, London Perfect and Italy Perfect I've stayed in 15 apartments over the past 10 years. The Muscadelle is one of my favourites in Paris. It's got a wonderful location, just a block off Rue Cler, where you are able to feel like you are part of the neighbourhood and have all..."
"Wow! We loved our little Paris pied-a-terre. It was on the 6th floor with a lift with a lovely kitchen and a beautiful dainty bedroom. We loved looking out over the Parisian Rooftops with the little red chimneys each morning and evening. The apartment was immaculately clean. Lovely touch was..."
"We are returning Paris Perfect guests who like the ease of the 7th arrondissement and Muscadelle did not disappoint. Great location - you can literally get your morning baguette and be back with your espresso in less than ten minutes. The bedroom is on the quiet side of the building; it's on a high..."
"We loved how quiet this apartment was yet within walking distance of every possible convenience! This was our third Paris Perfect Apartment. We return because we can depend upon Paris Perfect's very high standards and your excellent service." "Another wonderful week in another wonderful apartment! 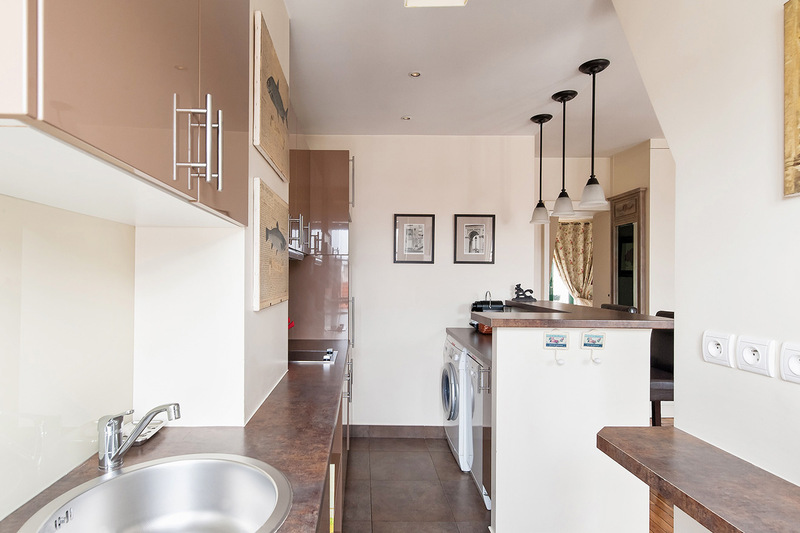 Muscadelle is so well located - on a quiet street yet near all the conveniences of rue Cler. 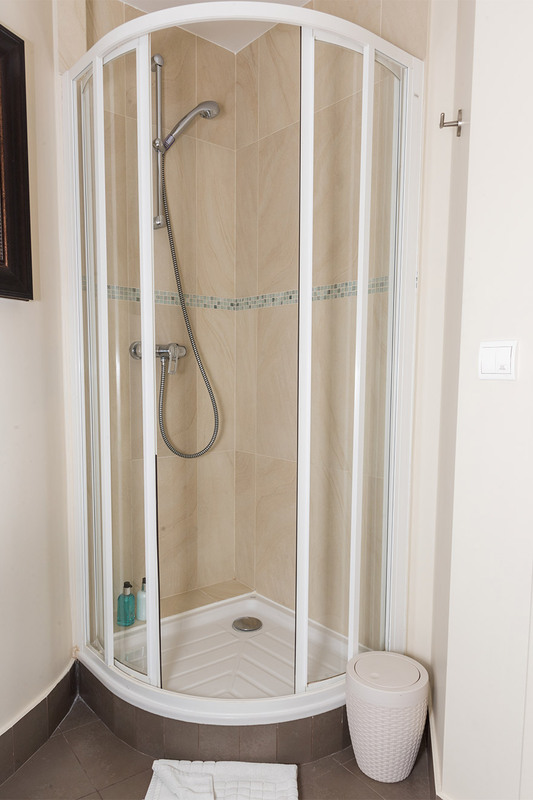 The spacious bedroom & ensuite bathroom (albeit a tiny shower) are a real plus. 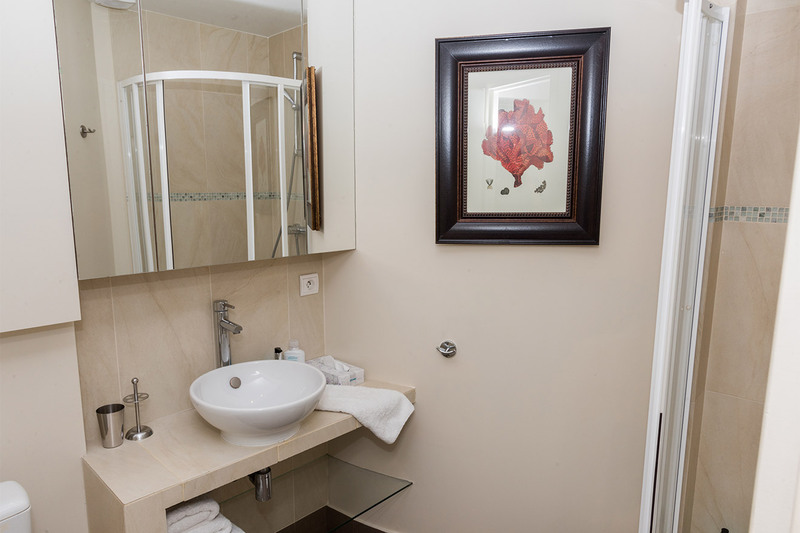 Of course, the view is delightful with several sites from your..."
"Muscadelle was a fabulous apartment located right in the middle of a wonderful shopping area, a short walk from the Metro and the Eiffel Tower. The apartment itself was quiet and comfortable. 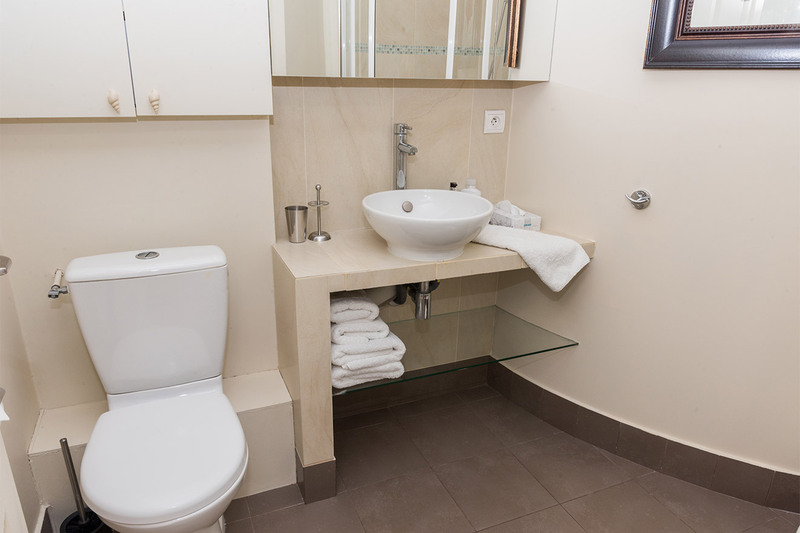 We found everything to be exactly as stated by Paris Perfect and the staff were very helpful with getting..."
"Our favourite apartment rental in Paris! charming and the perfect location. The team were magnifique!! Kevin, Verity and Lisa!!" "Thank you, Paris Perfect, for the excellent service! All communication with us was prompt and helpful. We will definitely become repeat clients, and have already been recommending you to our friends. Also, we were glad we chose to use your driver to the airport. His van was clean and..."
"My husband and I traveled to Paris for the 1st time this fall, and we truly appreciated the assistance and information to help us plan our stay. Muscadelle is a charming Parisian 1 bedroom apartment in the 7th Arr, convenient to Rue De Cler & Rue Dominique offering many wonderful restaurants,..."
"We stayed in the Muscadelle apartment near. 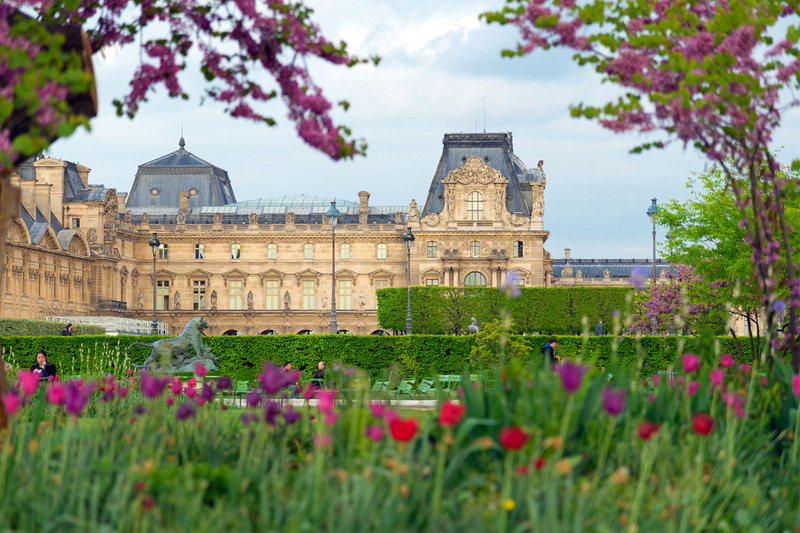 We are experienced travelers and experienced visitors to Paris. This was our third use of a ParisPerfect apartment. We have tried a different apartment each time. We had yet another excellent with ParisPerfect. We stayed almost two weeks...."
"What a great apt. My family of four loved staying in the heart of Paris. Quite, clean,roomy,& great view. Rue Cher at end of block with markets,cafes,& bakery near. Walked to Eiffel tower at night. Metro 3 blocks away.Kitchen allowed us to eat breakfast & back picnic for our outings.P..."
"My girls and I had a very memorable trip to Paris made more special because of your lovely flat! Everything was perfect and was what we expected!" "I wanted to let your team know we had a wonderful stay at Muscadelle. The apartment was just lovely and the 7th Arrondissement was perfect. The bottle of wine left for us, was a wonderful surprise upon our arrival. Our greeter was lovely and very informative. She had wonderful..."
"Where does one start? First, our initial engagement with PMP was very professional and very helpful as we worked though the large inventory of apartments, their respective floor plans and neighborhoods. We finally chose Muscadelle and boy was that a home run for us. 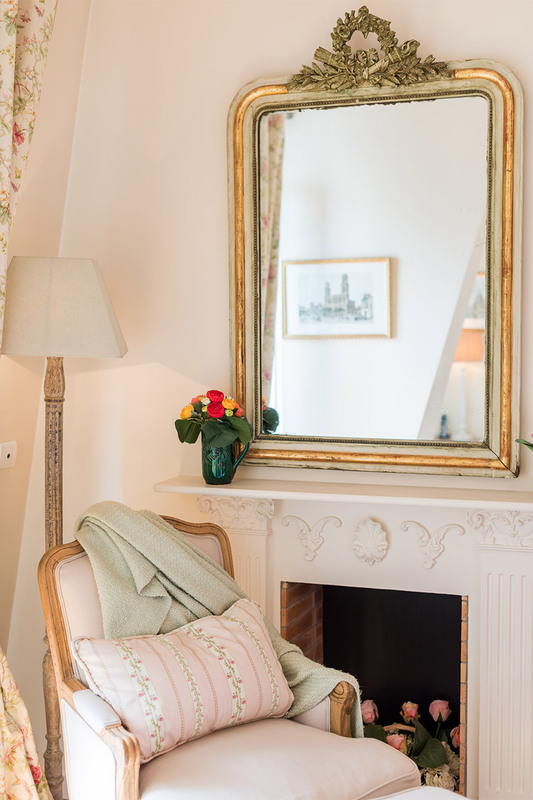 The apartment was perfect for us..."
"If you are thinking about a stay in Paris and like the idea of immersing yourself in the culture and enjoying the city as if you are a resident, you must rent through Paris Perfect. You will live in a wonderfully appointment apartment complete with every amenity you might need or want in your home..."
"Absolutely perfect! Very clean and well laid out. Appreciated all the goodies upon arrival and all the help our greeter Sam gave us. We loved the neighborhood everything was very well located, cheese shops, bread, pharmacy, bistros....making this a very walkable city. so much to do and see on every..."
"We stayed at Muscadelle in 2013 and greatly enjoyed our return visit this year. 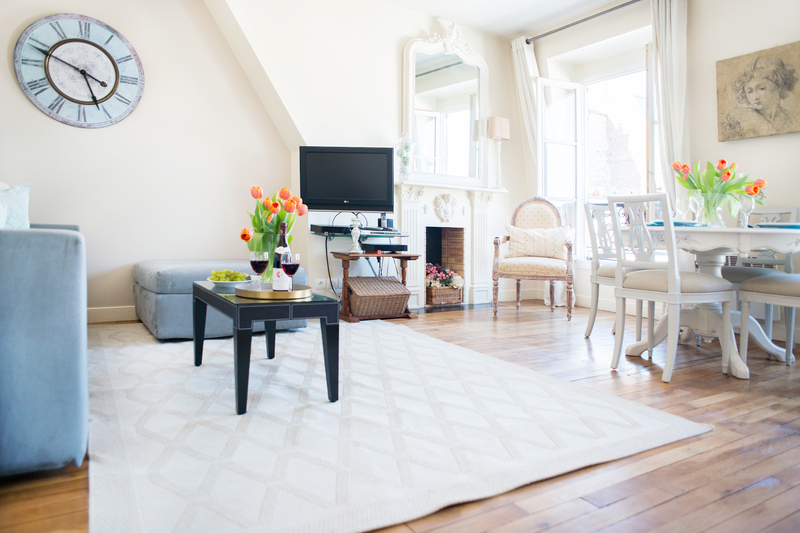 Everyone on staff is very helpful, the apartment is tidy, comfortable and located near our favorite Parisian haunts. It is also an easy commute to the Grand Palais. Thank you, Paris Perfect, for another great stay!" 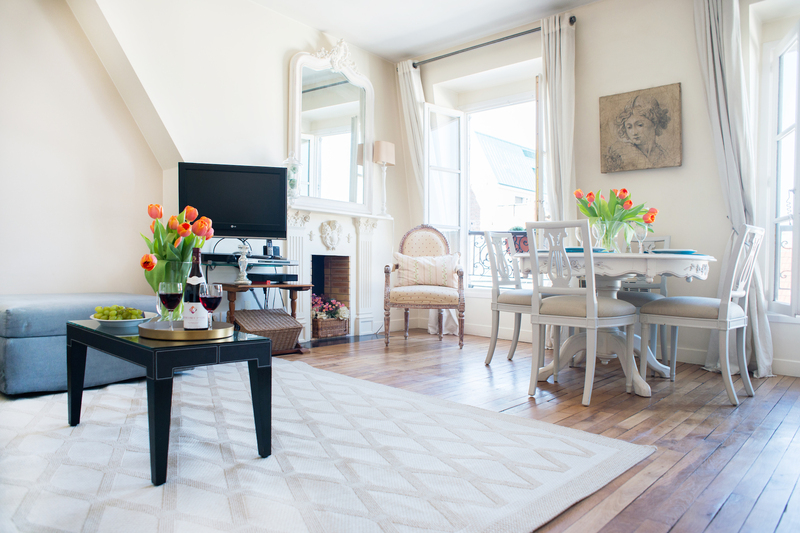 "This is our 6th or 7th Paris Perfect apartment, so do we need to say more? I have always had great service, transactions are always smooth, staff are friendly and helpful. We enjoyed all the previous apartments but this is the first time we were very close, practically next door to Rue..."
"We were favourably impressed by Muscadelle. It was close by to all amenities: metro, bakers, butchers etc. There was lots of storage for all our clothes, so our suit cases were emptied. The kitchen was well provisioned for those who want to eat in, while there were many restaurants in the..."
"This was my fifth visit to Paris with Paris Perfect and I wouldn't do it any other way! As I returned to the beautiful Muscadelle apartment for the second time it felt like I was coming home to my own neighbourhood. This beautiful apartment has light flowing though the rooms and and incredible..."
"Everything from start to finish was perfect. 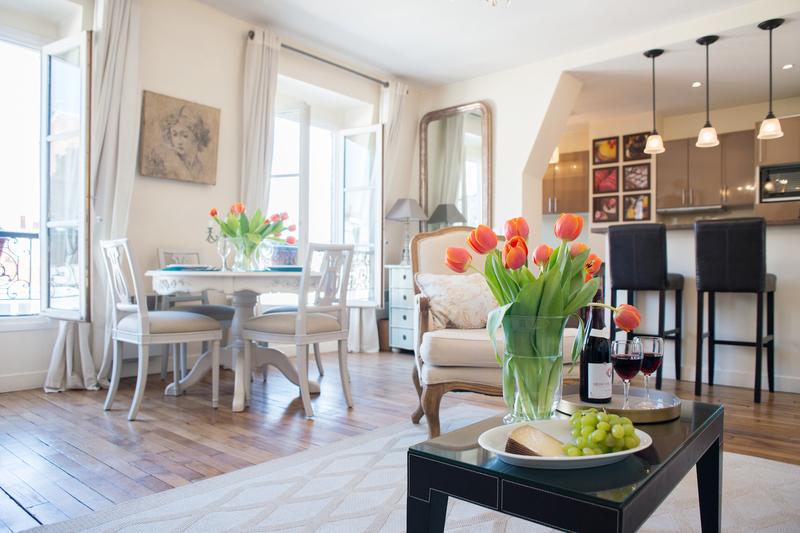 Of course, we loved Paris....but experiencing it from the base of this fabulous apartment was just delicous!" "Excellent location just off Rue Cler. Neighbors were a bit noisy until midnight." "We so enjoyed staying at Muscadelle. 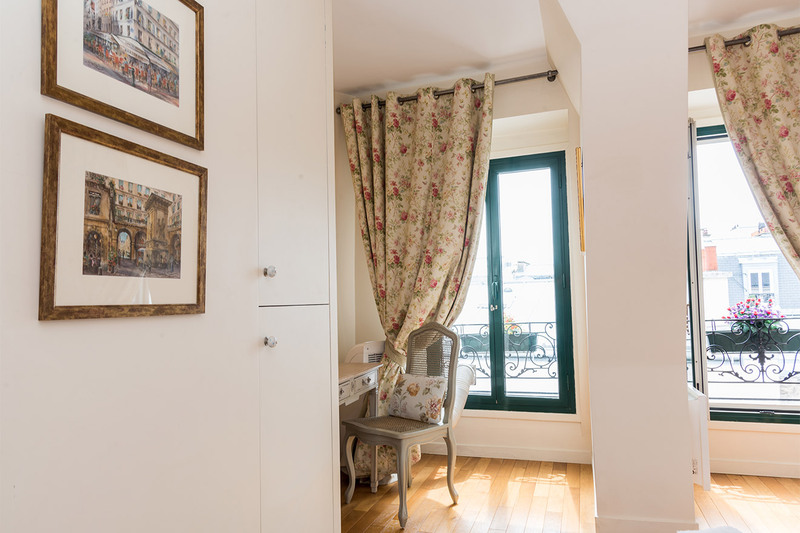 The combination of the charming apartment, your capable staff and the most remarkable market on rue Cler made for a perfect Paris week." "We were a little nervous about our first non-hotel venture, but we wanted a true Parisian experience for our family of four. Muscadelle delivered as advertised. Would definitely do that again." "My daughter, my son's 13 year old daughter and I had a wonderful stay at Muscadelle. The apartment was amazing with a fabulous view of th Eiffel Tower. We made use of the fully equipped kitchen every morning for breakfast and some evenings for dinner after a long day of touring. This was such a..."
"My husband, children (ages 11 and 13) and I had an amazing time in Paris! We loved staying at the Muscadelle apartment. It was situated where we could easily enjoy the shops and cafes on the Rue Cler. We could take short walks to hop on the bus and Metro or dine in nice restaurants. The..."
"Muscadelle was lovely, it was just as quintessentially Parisian as the photos suggested. The neighborhood was a true delight, literally steps from the cute shops and cafes of the Rue Cler. The apartment was clean, spacious and quite. 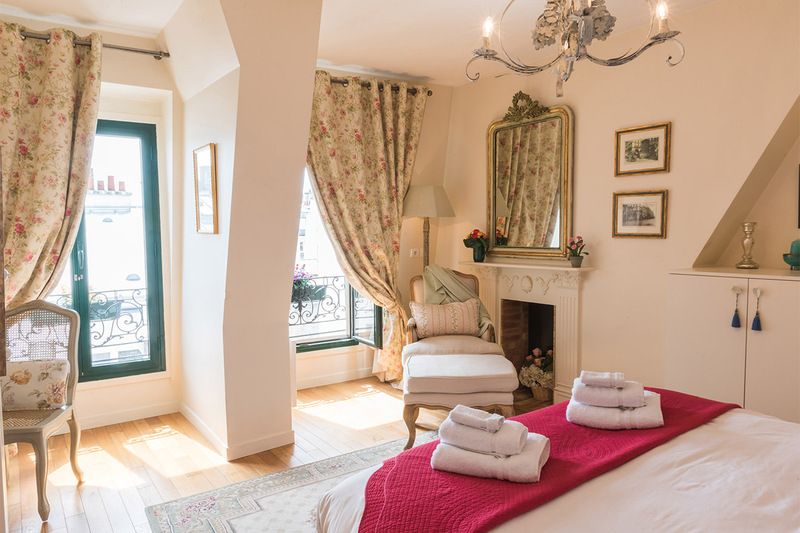 We wouldn't hesitate to stay with Paris Perfect again!" "We had a delightful week in Paris. The apartment was very comfortable with all of the amenities that we needed. The neighborhood was excellent with nearby shops and a plethora of fine restaurants within walking distance. The staff of Paris perfect were most accommodating and went out of..."
"Ahhhhh! The 5 French windows, the view, the light and air, the neighborhood.....Far superior to even a high-end hotel room. Excellent customer service. Bettter than pictured on the website and very clean. Wonderful experience." "Our stay was wonderful. The apartment was just as the pictures as the information was useful. The team was excellent from booking to our arrival." "I can not say enough good things about Paris Perfect. I have stayed in several of their apartments over the past 10 years and have never been disappointed. 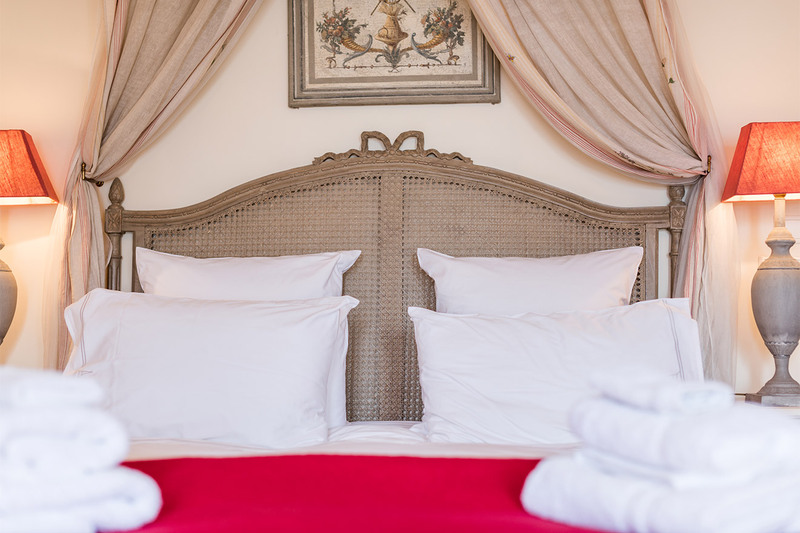 Every detail is perfect from the beautiful furnishings, luxurious towels and bedding to a perfectly equipped kitchen which even includes a..."
"Just a quick note to thank Paris Perfect for a wonderful stay in Paris. The apartment was fantastic - very comfortable, wonderful Rue Cler on the doorstep, 2 minutes to the metro and very accessible to many attractions. They were always available for queries, made every effort to help with advice..."
"We had a wonderful time in Paris. A trip of a life time and one we will never forget. Paris is magical. The apartment was very lovely and was exactly as it appeared on-line. We bought sweets from the corner bakery and ate breakfast in the apartment almost every morning. And we were able to walk to..."
"My husband and I loved our stay in this wonderful apartment! It was exactly as the pictures portrayed it. The rooms were all nicely sized and comfortably furnished. We felt very at home and had everything we needed for a great stay. The neighborhood around our apartment was perfect!..." "Our entire experience with Paris Perfect was superb. The Paris Perfect staff were all extremely reliable and everything from start to finish went exactly as planned. The apartment was very well maintained, furnished very nicely and extremely comfortable. The location of the Muscadelle..."
Thank you for making our first trip to Paris "Perfect". The Muscadelle apartment was quaint and just as advertised. It was wonderful to view the Eiffel Tower at night twinkling from our apartment windows. 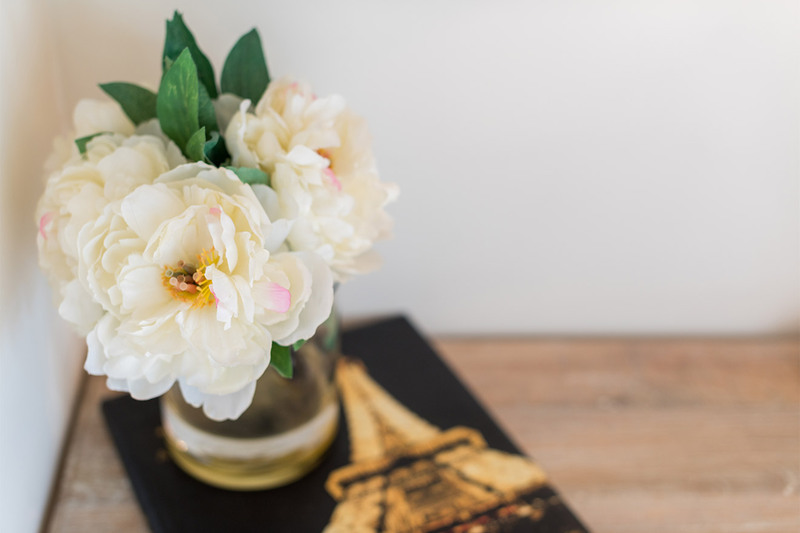 The apartment was a great location, with the..."
"We just wanted to say thank you for your professionalism and courtesy during our week long stay, It will be most memorable as we have gotten engaged during our stay and 1st trip to Paris. The apartment was everything and more we could have hoped for. All the amenities as you would have..."
"Great apartmtent and neighborhood. Thanks!" "Your people were very friendly and we appreciated the call the next day after our arrival. The information on the local amenities was invaluable and wonderfully detailed. Thank you -- merci beaucoup!" "The team was very accommodating and welcoming. Thank you;we will recommend both Paris and Italy Perfect (we were in Rome before we came here). 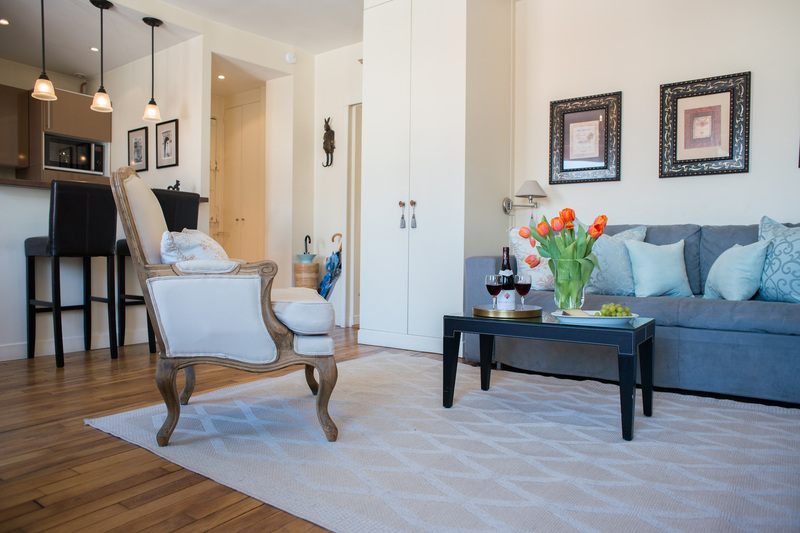 The apartment was wonderful; numerous little things done right made for a relaxing stay." "The apartment and location were both wonderful. The apartment was bright, airy and quiet. It was well equipped meaning that we never felt it a hassle to do anything. All went smoothly. We are very familiar with Paris and found it easy to get around the city. When we did stay close to the apartment,..."
"The team was very accommodating and welcoming. Thank you, we will recommend both Paris and Italy Perfect (we were in Rome before we came here). 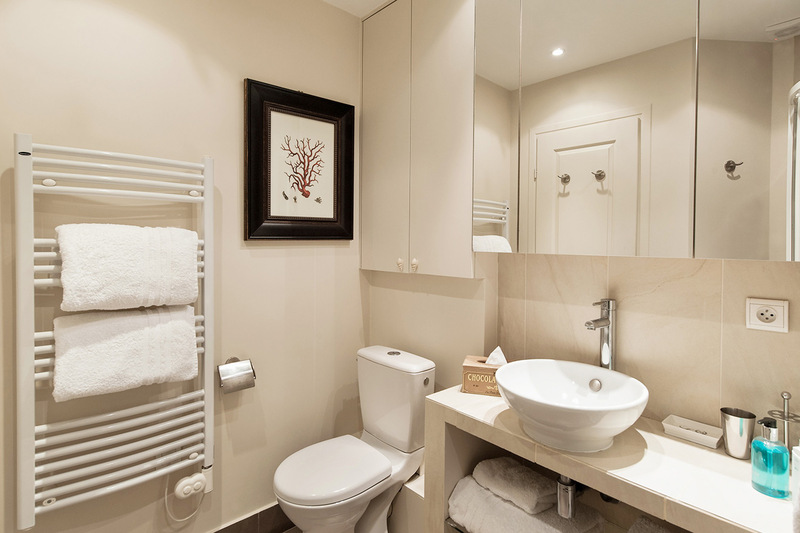 The apartment was wonderful; numerous little things done right made for a relaxing stay." "I fell in love with Paris all over again and our wonderful accommodations through PP, helped make that happen. Our apartment was spotlessly clean with a comfortable bed in an awesome neighborhood. What more could a person ask?" I've been home a week and am missing our wonderful Muscadelle! I will never stay anywhere else in Paris. Best location, so comfortable, and such life around both corners. My daughter and I had the best vacation together. Thanks to all of..."
"Wonderful stay and we have lived 'a la Parisienne' for a week. 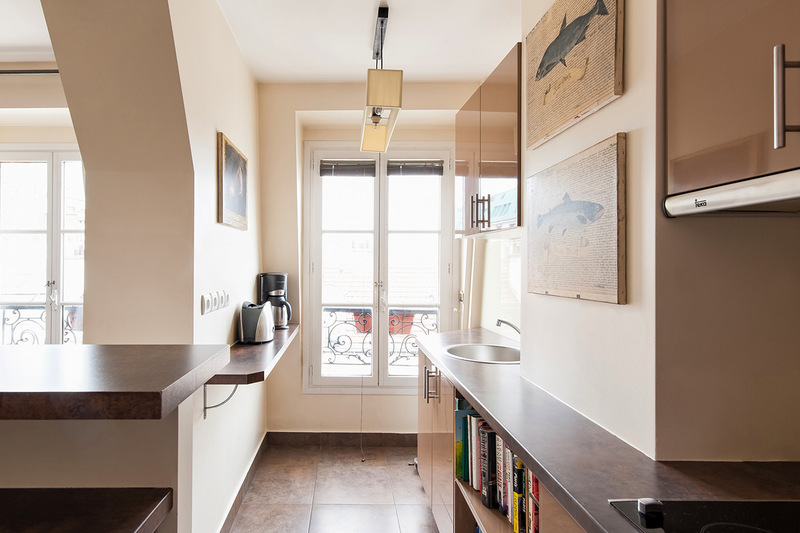 The apartment is close to the metro and the wonderful food shops and restaurants in rue Cler. Fantastique! 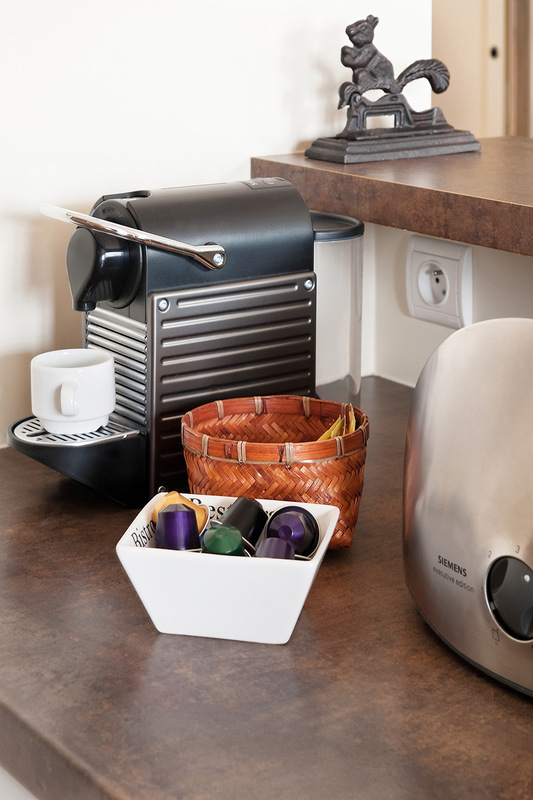 The apartment is well equipped and we couldn't ask for anything more. Au revoir." "Thank you so much for making our stay so great! Great quiet neighborhood and wonderful restaurant recommendations in your guide. Your guidebook was really helpful; you've thought of everything! Impressive team! Great attitudes in person and via email. My daughter and I loved every minute. We are..."
"Our short week stay was fabulous!! We will never stay in a hotel in Paris again. We own an Inn in the mountains of Va. And always try to provide for our guests. You far surpassed our expectations!! The last time we were in Paris, we stayed in a very elegant hotel in just one large room. This..."
"We were celebrating our 50th wedding anniversary, so, of course, we hoped everything would be perfect. And it was. Muscadelle more than met our expectations. It is a spotlessly clean, elegantly decorated apartment so comfortable that you immediately feel at home. The kitchen is actually fun to use..."
"Dear, ParisPerfect, We have arrived home safely and are into the swing of Christmas preparations. We wanted to let you know how much we enjoyed our ParisPerfect apartment. It was charmingly decorated, in a terrific location, and was so nice and clean. 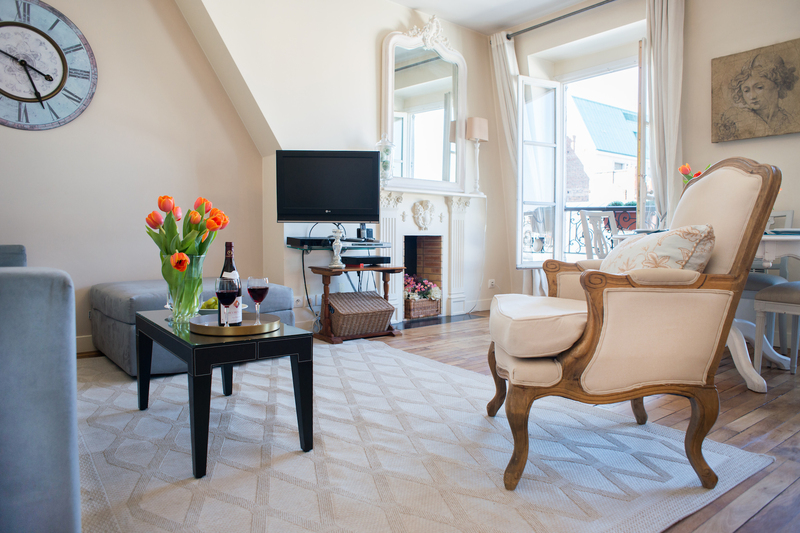 Rue Cler is indeed a wonderful place to stay,..."
"Paris is the greatest city we ever visited. The apartment was perfect...perfect location, perfect size, perfect in every way. If we were to return, we would happily stay at the Muscadelle." "A lovely, clean, cozy apartment. On the top (6th) floor so no noise from above. The adjacent buildings were not as tall so we had privacy (no peeking through our windows). The TV and phone service were fine. The place was very clean and nicely decorated, the bathroom/shower were in..."
"We spent 8 wonderful days in Muscadelle during July 2009 and can't say enough good things about the accommodations, location and service we enjoyed. This was our first Paris trip--for our 25th anniversary--and this was truly the perfect Paris solution for us. The apartment allowed us the chance to..."
"My husband and I have recently returned from a wonderful 8 night stay in Paris . We stayed in the Muscadelle apartment. The accommodation was beautiful and faultless. The apartment was spotless upon arrival, the location beautiful, I could have stayed a month! 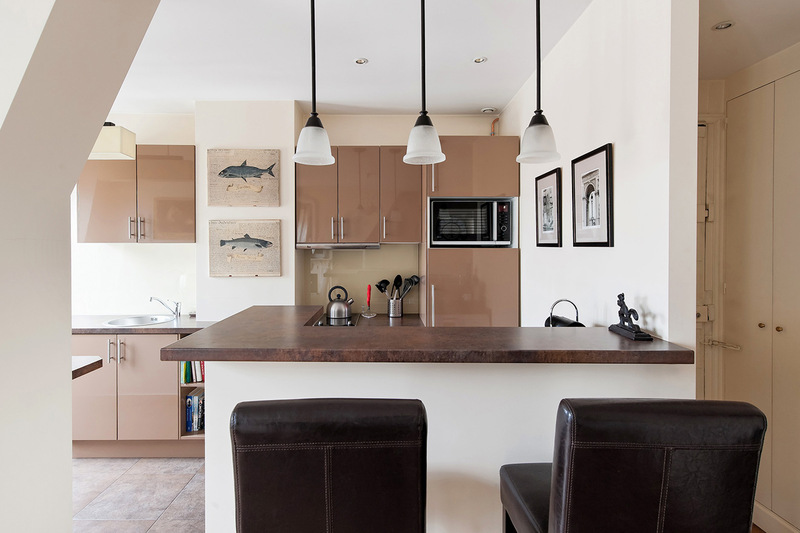 We look forward to returning one day..."
"A wonderful stay - the apartment was perfect. I will use your service again and recommend you to others. "This was our first visit to Paris and we were glad we were able to stay in such a lovely apartment. This trip was special to me as I was supposed to go on a class trip to France at the age of 15 but was unable to go. I always told myself that I would someday see Paris! This apartment helped to..."
"Wonderful, fantastic accommodations. Apartment is beautifully decorated and perfect spot. The company people are outstanding with their service. Great neighborhood. Excellent experience. Would love to return." "What a great stay. Loved the apartment. 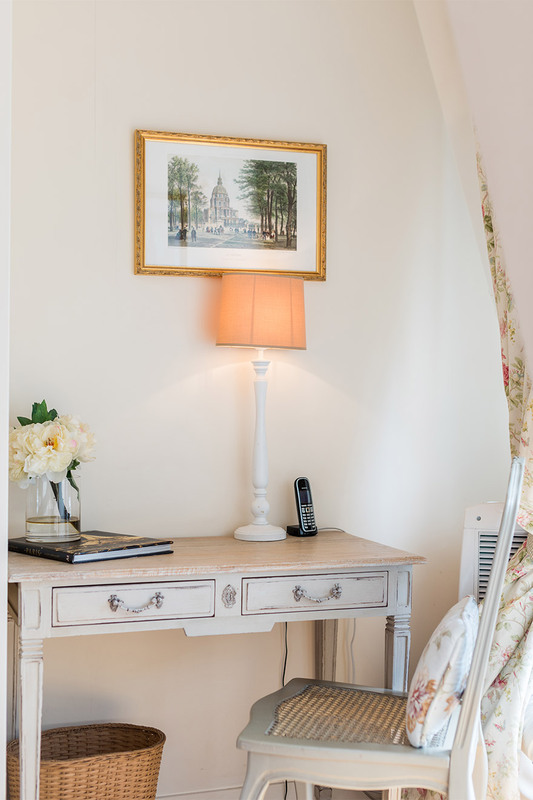 Fabulous location, gorgeous views of Eiffel Tower and Invalides all in one apt. Beautiful furnishings. Absolutely plan to return. Many thanks for the great service." "I was the very first guest for this apartment. Madelyn certainly did her wonders with it! Location, location!! Hard to improve with it. A courtyard entry and the fun of another of the Paris tiny elevators! You always think you have seen the smallest, until the next one! The Muscadelle is most..."
"Amazing location, lovely furnishes, top-notch service - this was (roughly) my eighth stay with Paris Perfect and Muscadelle may be my favorite apartment. The boulengerie on the corner is the best in the neighborhood, by the way!" 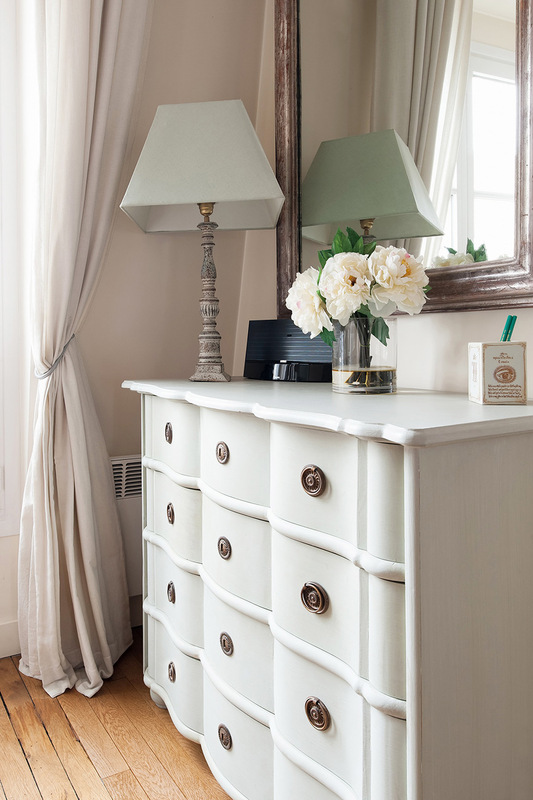 "Perfect in every...the apartment is furnished in impeccable taste. Truly, it was a "home away from home". The entire team is to be congratulated. Your teamwork results in a seamless experience for the client. We will return to Paris, and a Paris Perfect apartment as often as possible." "This was my third stay in one of your lovely apartments. My husband was also to join me for most of the stay, and we both enjoyed Muscadelle very much. 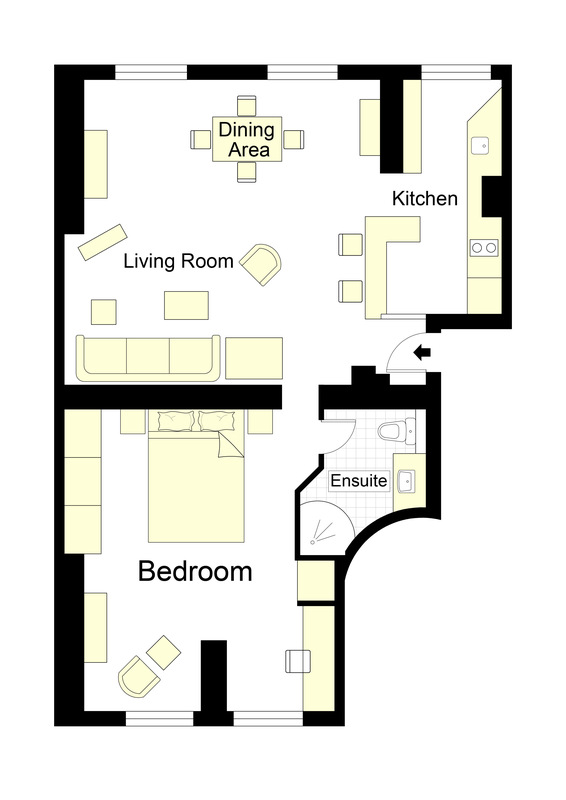 I am looking forward to being back in one of your nearby apartments in April. 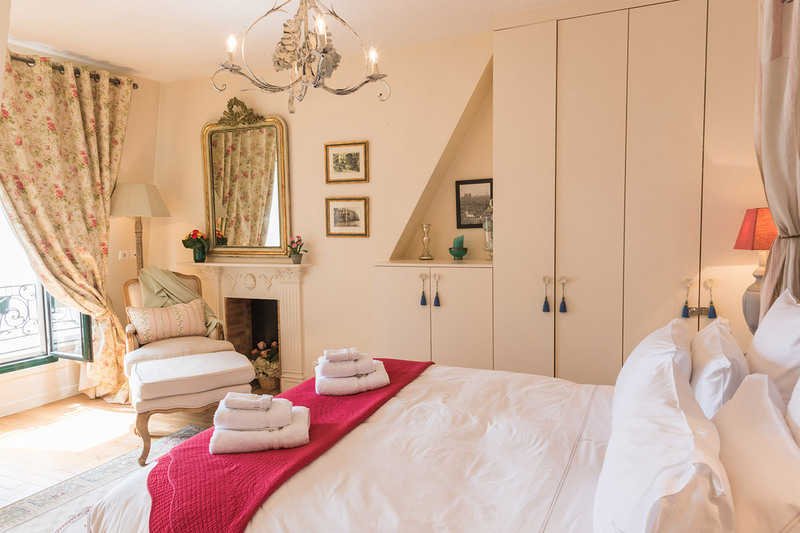 Thank you so much for providing such lovely, warm and inviting..."
"A truly pleasurable experience, it was a home away from home." 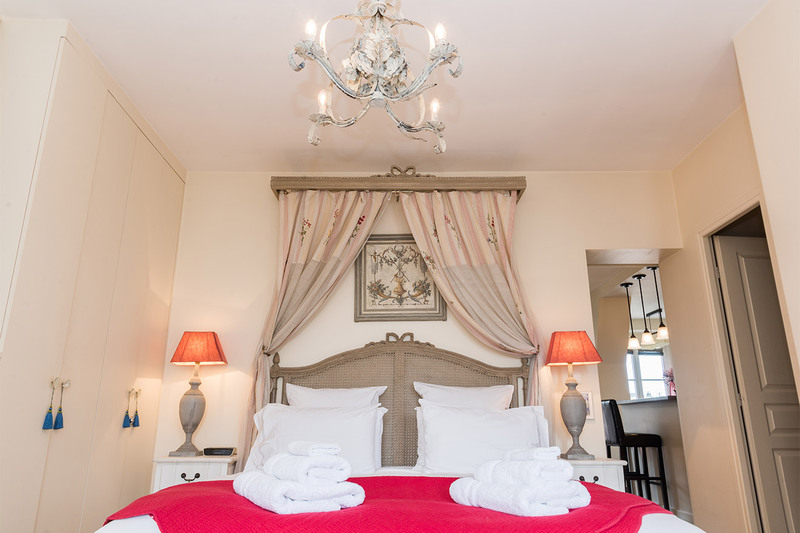 "A truly delightful experience to stay in your lovely new Muscadelle! The decoration is so cute, yet the apartment so modern and well-equipped. We are SOLD on apartment living rather than hotels! We came prepared for bad weather, but got lucky! Only a little rain and not so cold. Thank you..."
"Thank you for a good stay in Paris. The apartment is in a great location with a very pleasant neighbourhood with everything within walking distance. Perfect for two people that wants a romantic getaway. We were four people and it worked fine and we enjoyed the stay. "We just returned home after spending ten glorious days in Paris. The highlight of the trip was staying in your apartment. Thank you so much for your kind hospitality and orientation to the area of Paris we grew to love. From the moment we arrived, we felt welcome. 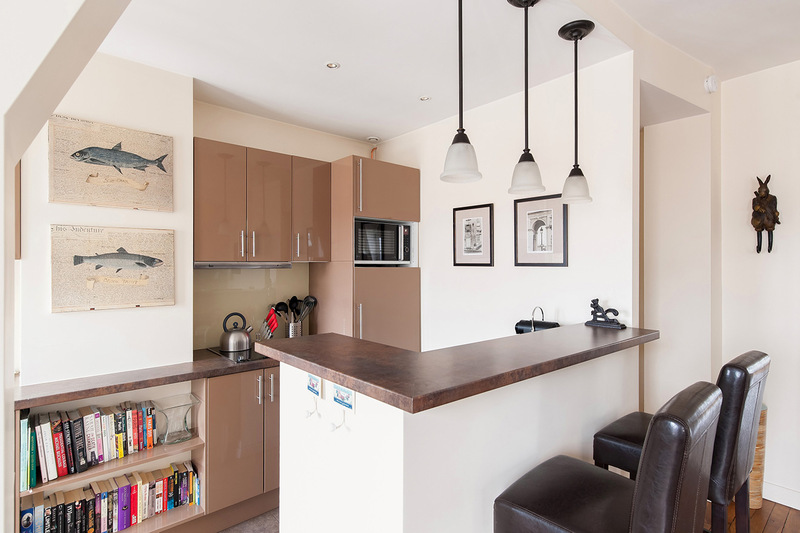 The apartment was..."
I just wanted to let you know how delighted we were with the apartment. It was even more charming than your site shows it to be. The view, the furnishings and the accruterments were all superior. The neighborhood, by the way, is one of the nicest in..."
"The name says it all! We have traveled to Paris many times and have finally found the location we will absolutely return to again and again. 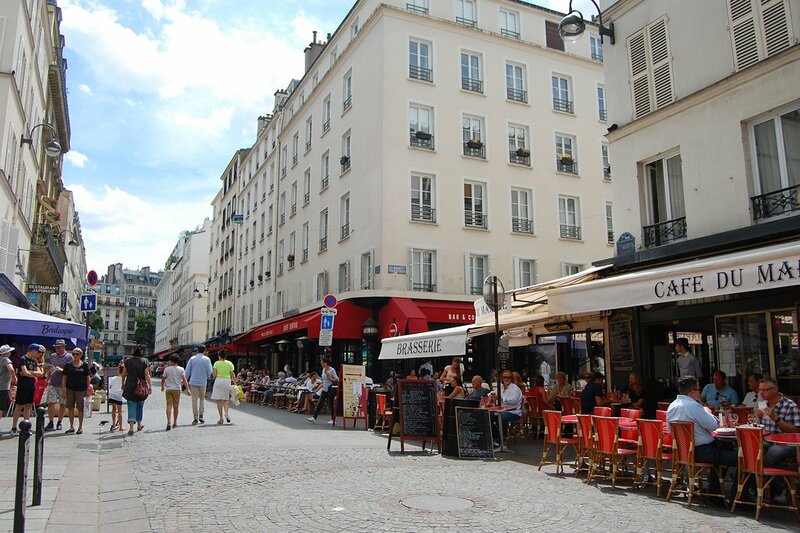 The neighborhood is quiet, filled with many great bistros and of course the Rue Cler market. The view of the Eiffel Tower is fantastic at anytime of day or..."
The location of our Muscadelle rental is ideal for Paris sightseeing, as it's located in the heart of the Left Bank's 7th arrondissement. When you're comparing Paris rentals, staying in one of the safest and nicest neighborhoods means everything for a pleasant Paris vacation. Step outside your Paris apartment rental and you're mingling with local Parisians as you enjoy the cafés, shops, restaurants, and open markets in this popular, village-like setting. When planning your vacation in Paris, you'll want to be close to Paris monuments and sites, to avoid long subway rides and transfers after a long day of Paris siteseeing. Our Paris apartment rental couldn't be in a better location. You're a 5-minute walk to the Eiffel Tower, a few blocks to the romantic Seine river, the Rodin Museum, the Ecole Militaire where Napoleon went to military school, the ancient Army Museum and Napoleons tomb at the Invalides, the noteworth and fun Sewers of Paris tour and of course, the romantic Bateaux Mouches boat rides along the Seine. 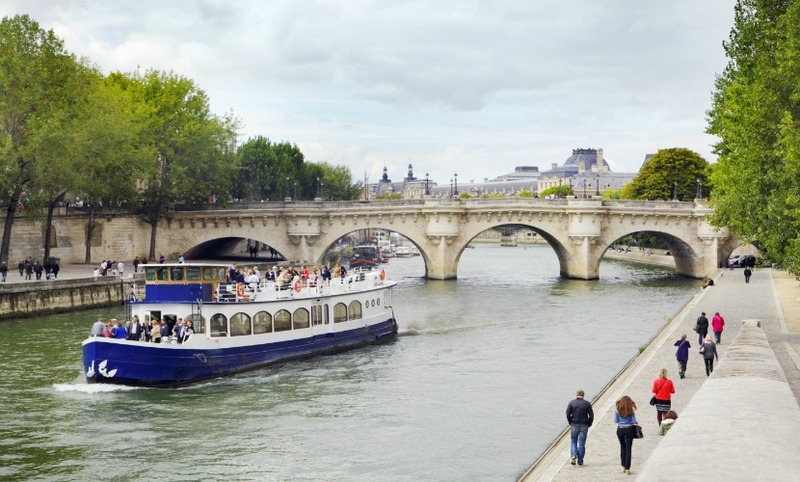 Walk or take a quick ride to Notre Dame, the Louvres, Musee d'Orsay, In terms of being close to Paris sites and museums, what more could you ask for? Our Paris apartment rental neighborhood is famous for its open food markets where you will find more than any other quartier in Paris, offering you the opportunity to live like a Parisian. Merchants come from the countryside throughout France with their specialties, from the freshest fruits and vegetables, to homemade jams, pates, regional wines, fresh-baked bread, seafood and more! 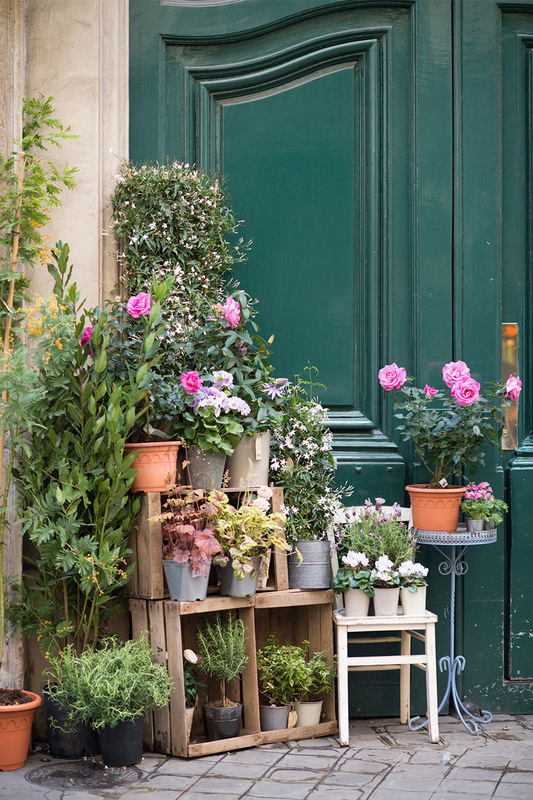 Step outside and shop on rue Cler daily - eat at one of the many sidewalk cafés like so many Parisians do -- or experience the freshest food shopping at one of the three Street Markets nearby. You can pay a fortune for a site seeing tour of just one of these streets, but we provide all the information you need to explore them on your own. Interested in seeing the latest fashions? 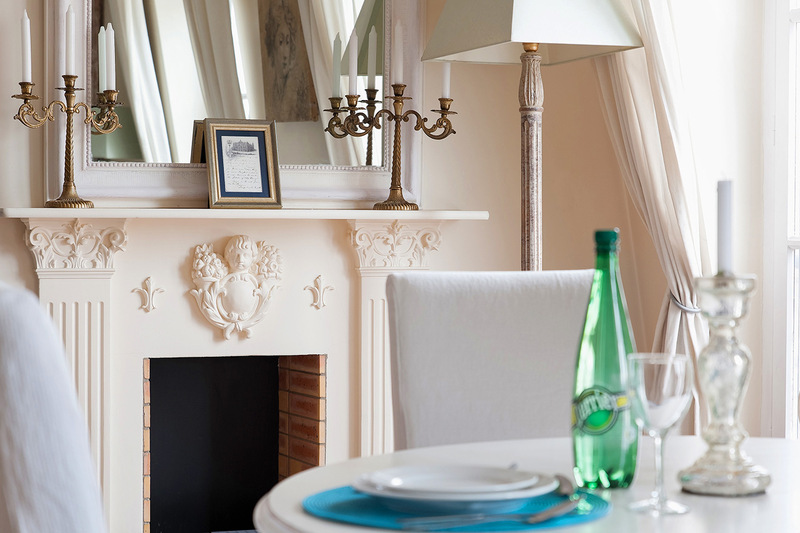 Our Paris apartment rental is a 15-minute walk to the Golden Triangle, home to the great designers or 'Grand Couturiers' from Chanel to Louis Vuitton, Hermes, Dior, Galliano Chanel, and many, many more. 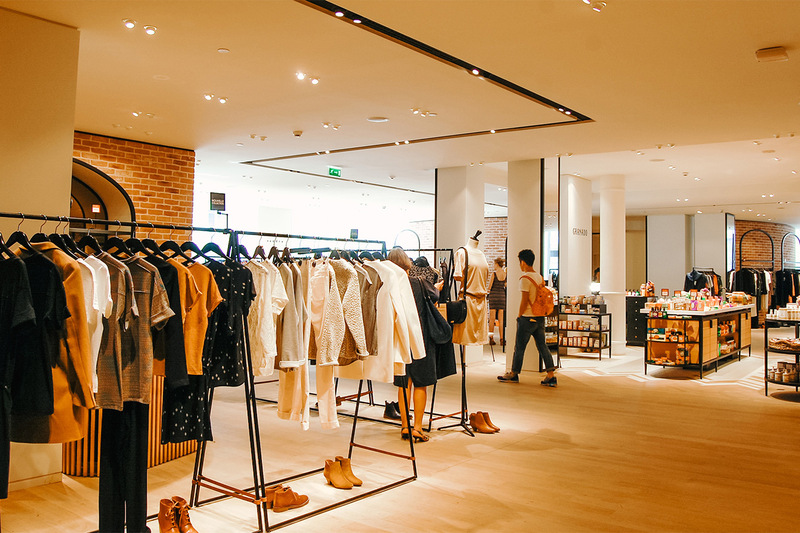 Please see our link on Paris Shopping for more details. Care to enjoy some of the finest dining in the world? 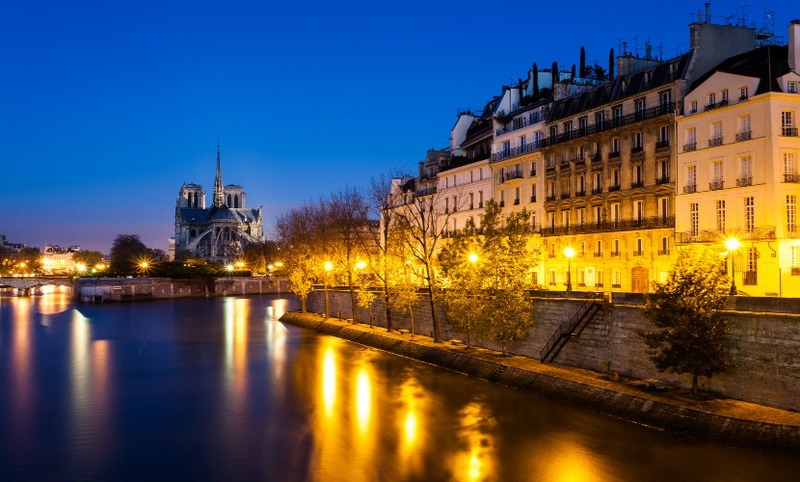 Walk across the river to the 3 star restaurant 'Le Cinqâ' at the Four Seasons George V Hotel, or reserve at Alain Ducasseâ's restaurant on the top of the Eiffel Tower. 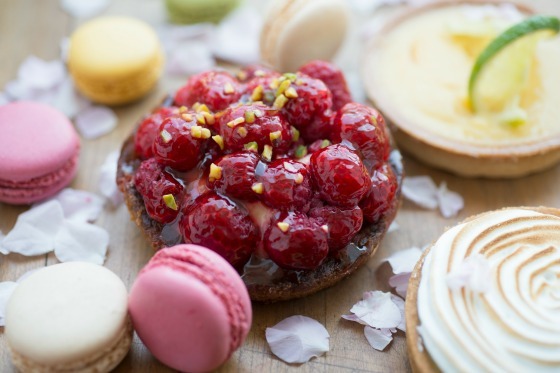 There are 3 Michelin starred restaurants in the neighborhood as well, but what we think you'll love are the dozens of excellent, affordable restaurants where Parisians go located right just outside your apartment. No wonder this is one of the most sought and central neighborhoods in Paris. 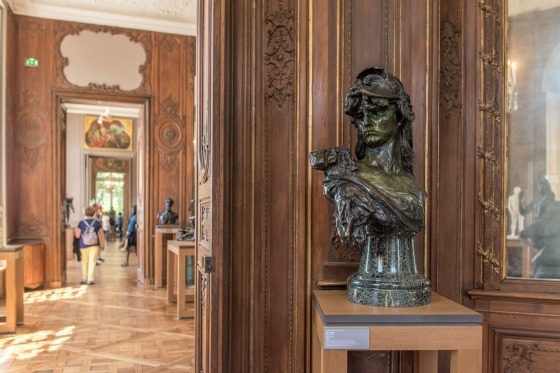 You are four blocks from the gardens of Champ de Mars with its Eiffel Tower, a rare bonus in Paris as there are very few large parks near most Paris apartment rentals. Take long walks, go running or bring your children to the three playgrounds as the Parisians do. There are basketball courts, grassy knolls to picnic on, an antique puppet theater and bike rentals. Or simply do as generations of Parisians have done; enjoy sitting on a wooden bench in the sunshine, soak up the sites and sounds of Paris, the most beautiful City in the world. Visiting some of the best Paris open markets is one of the most enjoyable sightseeing discoveries in Paris. 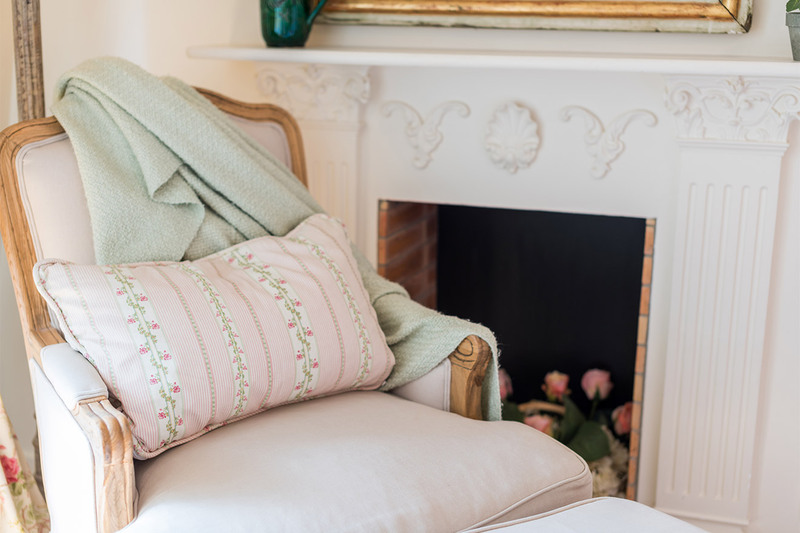 Our Muscadelle apartment is a short walk to three of the oldest open markets: the Pont de l'Alma street market, Rue de Grenelle's market, and the picturesque Ave de Saxe open market. 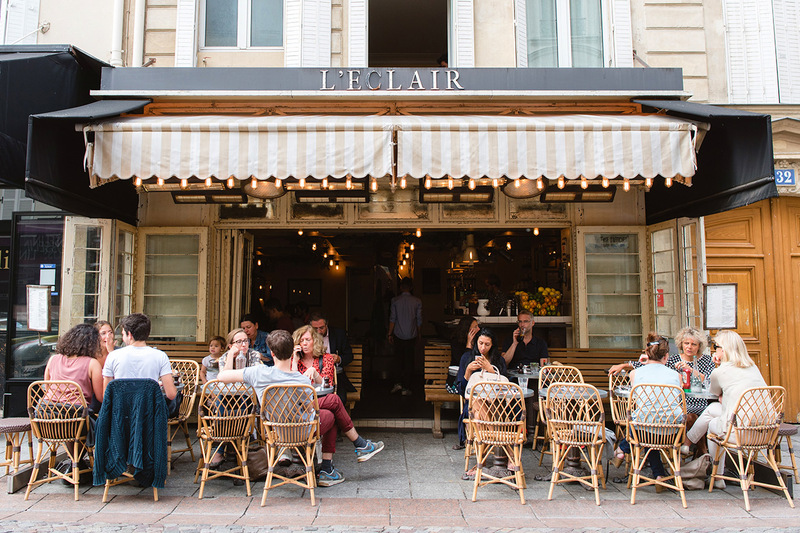 The famous Rue Cler is on the corner and you'll be spoiled for choice if you want to soak up the sunshine sitting outdoors at one of the local bistros. When you reserve with ParisPerfect, we email you the ParisPerfect Information Pack -- 40 pages of information and hints about Paris, suggestions for Paris site seeing, information about the neighborhood and your apartment, so you can start to prepare your activities before you leave home. 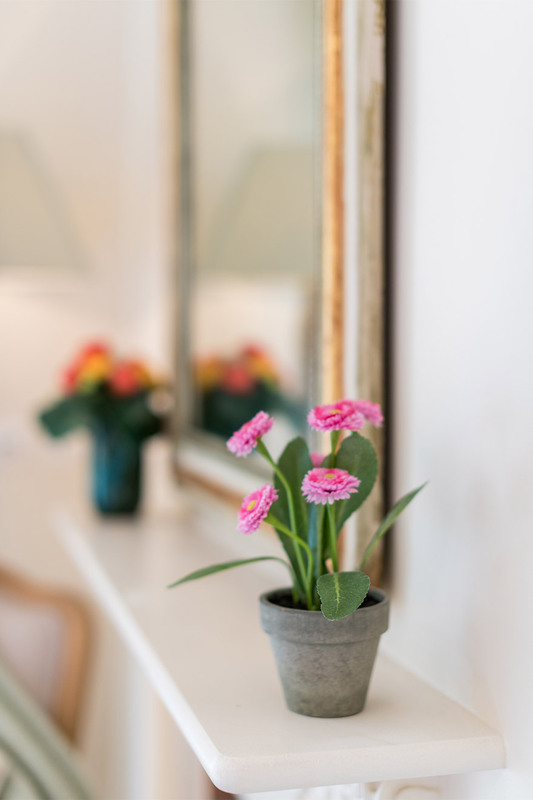 Our guests say that our ParisPerfect Information Pack and the warm welcome they receive when they arrive at our Paris apartment rentals are two of the features that make us special. Finally, at your apartment we leave a collection of Paris guidebooks and other information on the neighborhood for you to peruse during your stay so you don't have to load up on books before you go! Metro: La Tour-Maubourg (7 min); Ecole Militaire (4 min). Pont de l'Alma RER suburban train (10 min): takes you directly to Invalides, Notre Dame and more. Bus: Catch the 42, 69 and 87 at the main bus stop at avenue Joseph Bouvard (6 min). There are also other stops along rue Saint Dominique and avenue de la Bourdonnais. 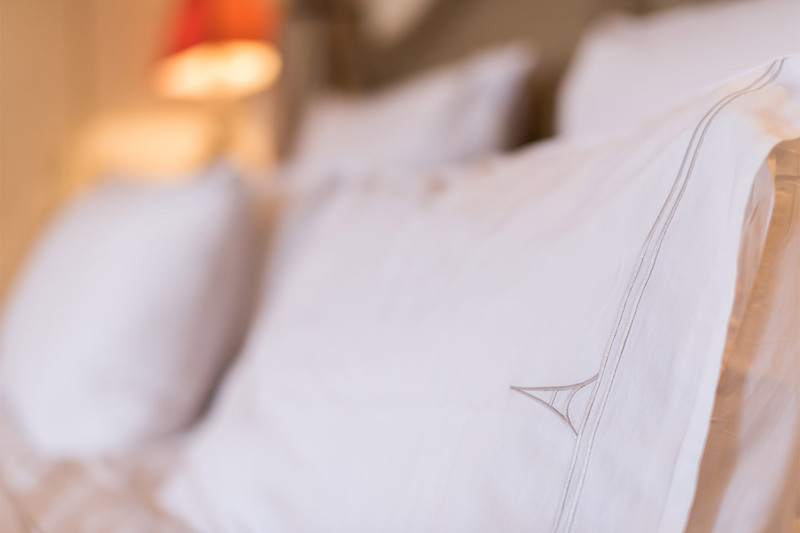 Crisp clean linens with our little Eiffel Tower logo! Desk with Paris rooftop views, warm sun and free internet! There's nothing better than fresh towels and a vessel sink! 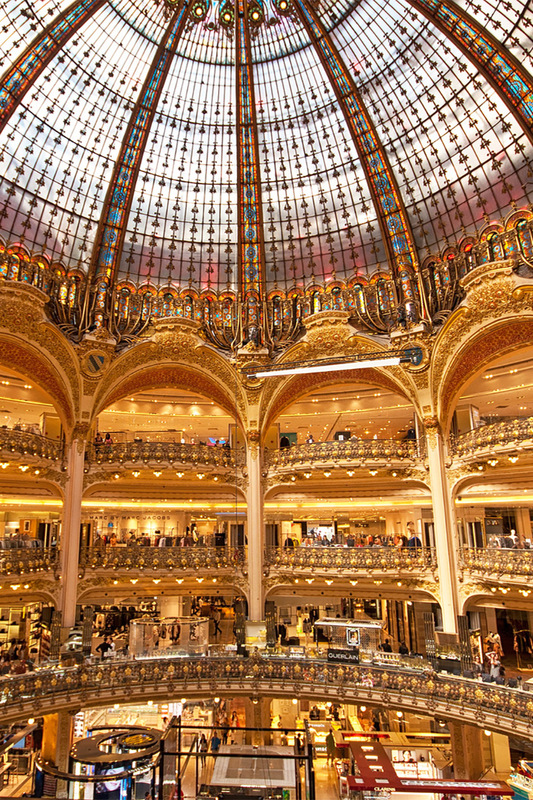 No fashionista can pass up the Galeries Lafayette!